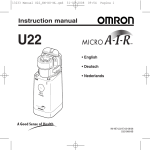 device, technical specifications and instructions for installation, adjustment and use. the technical state of the device at the time of its sale. The plant builder may include the present manual in the documentation for plant use. the laws in force in the country in which it is installed. The device must be fitted and adjusted by qualified technical personnel. It may be moved manually. manufacturer and the separate collection symbol (symbol on side). member state in which it was installed. equipment or parts of it. means of re-use, recycling and other forms of recovery to obtain raw materials from waste. established by the member state in which it was installed. regarding European Union member states.  ultrasonic sensors are able to ignore background disturbs. They are not suitable for detecting materials particularly good at absorbing sound. They have a relatively low propagation speed, limiting the sensor reading speed. They do not work in water, in high pressure or vacuum environments. rotogravure, cutting and winding machines, wrinkling machines). Diameter roll measurement for positioning and working phase starting. Diameter coil measurement (aluminium and sheet). Box inside liquid level measurement. Full and empty box recognition. Draughts may divert the echo and prevent correct measurement. Other ultrasound sources may overlap the echo, causing measurement errors. allow ice to form on the surface of the sensor. not paint the surface of the ultrasonic capsule. Clean the sensor with low pressure dry air. a stabilised voltage that is not affected by network load variations. 3. The CLAMP ferrite provided with the equipment must be applied to the cable. 4. Avoid using single wires connections to the US3 cable, if it is possible. that inside said cone there are no: objects other than the target, other ultrasound sources, draughts. earth point with a suitable cable, as illustrated below. distance measure in a coil diameter measure providing a diameter proportional analogue output. tension will be reduced according to diameter. input changes, the output can be used to visualize the diameter on a display. to coils having an irregular shape. US3 can also function as a distance reader just by using the regulated output inversion. free of charge from the website www.re-spa.com. from the bottom for F1, the second for F2, etc.). or cannot be detected by the sensor because it is not there. Outside programming: if pressed for several seconds allows programming to be accessed. if pressed while field calibration is active, allows output increase/reduction. Outside programming: interrupts LED bar flashing if there was an error saving the settings. if pressed with the ENTER key in function F10, returns you to function F1. device, restoring the factory settings. the LED bar lights up (function F1). To scroll through the menu of the programming functions, use the ENTER key. To return to function F1 go to function F10 and press ENTER+SET. saved correctly, the LED bar lights scroll, otherwise it begins flashing until you press SET. To operate as diameter reader / regulator, the US3 ultrasonic sensor must be calibrated. It is a field calibration. Sensor is mechanically installed in its own definitive position. Position on function F3 and carry out as described on page 16. Position on function F10 and keep pressed ENTER key to save and exit. Allows you to set the precise value the output adopts at the intermediate diameter. It is necessary to use a voltmeter. It is necessary to know maximum and middle diameter. Position on function F4 and carry out as described on page 16. It allows to easily calibrate the device in a completely digital way. It is not necessary any measurement instrument. calibrated for the specific application. between regulator and rotation axis. maximum diameter (F2) the other one to rotation axis (F4). corresponds to the maximum distance. remain lit together with the LED on the LED bar corresponding to function F1. 0 (changeable only using Personal Computer). See Calibration section to carry out the first calibration after sensor purchase. Press SET key to set the desired value. To select following function press ENTER key. Lab calibration (sensor not installed in its own working position): position a stiff target (ex. position (see diagram on page 13). of the sensor (see diagram on page 12). been performed the red LED flashes twice. Position a known diameter coil in front off the sensor (diagram on page 12). Connect a voltmeter to one of the sensor’s two analog outputs (blue wire or orange wire). will light up and the output voltage will increase starting from 5V. Es. If maximum diameter is 1000 mm and known diameter is 400 mm, output must be 4Vdc. installed in its own working position (see diagram on page 13). Note: rotation axis is the centre of coil shaft. 5mm, to prevent sudden activations when the diameter is close to the threshold value. distance equal to that which would separate the capsule from the coil with the threshold diameter). plus 5mm, to prevent sudden activations when the diameter is close to the threshold value. To return to function F1 press ENTER and SET simultaneously. To exit the programming menu and save the changes, hold down ENTER for several seconds. If the LED bar keeps flashing after a reset, contact the technical support team. regulated analog output (blue wire) is constant and 0Volt (or 4mA). of 12 months from the date of delivery. agent in your country, or, if this is not possible, contact Re S.p.A. directly. repairs at the current rates. BIGG 5 Channels BIGG5G102 - Sysmetric. Simply accurate.